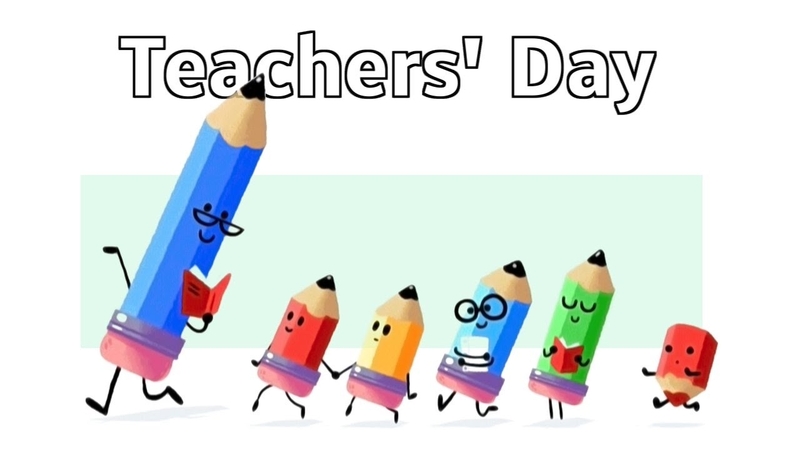 Teacher’s day is celebrated to honor the beloved teachers for their priceless contribution in bringing up students who are the pillars of the future nation. Teacher’s Day celebration varies from one country to another country. But the World Teacher’s day is celebrated on 5th October every year. In India, the birth date of Dr.Sarvepalli Radhakrishnan is celebrated as Teacher’s Day. It is very important to know about the Great Teacher Dr.Sarvepalli Radhakrishnan to understand the importance of his service to India in his lifetime. Dr.Sarvepalli Radhakrishnan is the second President of India and he was born on 5th September 1888 in a poor family. It was very tough for his father to educate him with his meagre income and Dr.Sarvepalli Radhakrishnan continued his education on scholarships. He completed his B.A. and M.A Philosophy and got selected as a Professor of Philosophy by the University of Mysore. In 1952, he was elected as a Vice President of India. In 1954, he was awarded with the Bharat Ratna Award and “The Philosophy of Dr. Sarvepalli Radhakrishnan” was also released in America at the same time. He served as a Vice President for two terms and in 1962 he was selected as a President of India. Though he was requested to continue his service for another term in 1967, he showed interest in coming back to his home in Madras and spent his last years happily in his home place in Mylapore. The Great Legend fulfilled his life and he took his last breathe on 17th April 1975. His life is very challenging for students and his birth date September 5 is celebrated as Teacher’s Day in India. Teacher’s day celebration is an acknowledgment for their priceless service in shaping the future nation. A Good Teacher can easily find the talents in their students which were even missed out by their parents. I can still remember my teacher who encouraged me to give a short speech in our School Assembly about Independence Day. It was because of my teacher’s encouragement I started participating in many Interschool Speech Competitions and won many prizes. A Good teacher’s guidance stand behind every successful student. Yes, a teacher knows how to bring the best from their students. Let’s all salute and celebrate the service of our teachers with grateful heart on every teacher’s day.